At least two class action lawsuits are brewing against Ticketmaster in the wake of this week’s reporting by the CBC and Toronto Star on the company’s pro-broker resale operations. One stems from a Regina, Saskatchawan-based lawyer who told CTV he has been working on the lawsuit for six months. The other is based in the United States, where the Hagens Berman firm is seeking consumers who feel they have been affected by Ticketmaster’s policies to form the basis of a lawsuit here. It is unclear as of Friday evening whether either lawsuit has been filed, or if they are just in a planning and information gathering stage. A request for comment sent to a Ticketmaster spokesperson on Friday afternoon had not received a response as of Friday evening. Ticketmaster has been caught in a wave of bad headlines this week following the report exposing a number of pro-broker policies in place within the company’s resale operation. While some were fairly well-known industry practices, others were jaw-dropping, particularly a hidden camera recording of a TM resale salesperson discussing how the company turns a blind eye to behavior by ticket brokers which violate the terms of service of the company’s primary box office operations, so long as they are listing tickets for resale on TM’s platform. The Live Nation-owned ticketing company, which has long been a lightning rod for consumer anger in the ticketing ecosystem, issued a strong statement Thursday denying the most damning parts of the story and saying it was reviewing its policies regarding resale. But the emergence of the potential pending litigation shows that in a certain sense, major damage may already be done. Thursday saw a report out by CTV Regina detailing how Tony Merchant is launching one lawsuit against Ticketmaster and Live Nation alleging the companies mislead consumers on ticket prices. He told reporters that damages to Canadians could reach figures in excess of $100 million (CAD, presumably). On Friday afternoon, TicketNews received a tip regarding a website set up by Hagens Berman Sobol Shapiro, a class-action litigation firm with offices in nine U.S. cities including Los Angeles (near Live Nation’s Beverly Hills corporate headquarters). That website seeks information from consumers who feel they may have been harmed by “the wrongdoing and profiteering” it believes may have occurred. It has a form for individuals to fill out requesting contact information, whether or not they have purchased tickets to a show via Ticketmaster’s resale operations, and in what state. A message seeking clarification on the current status of whether a lawsuit has been filed has not received a response as of Friday evening. 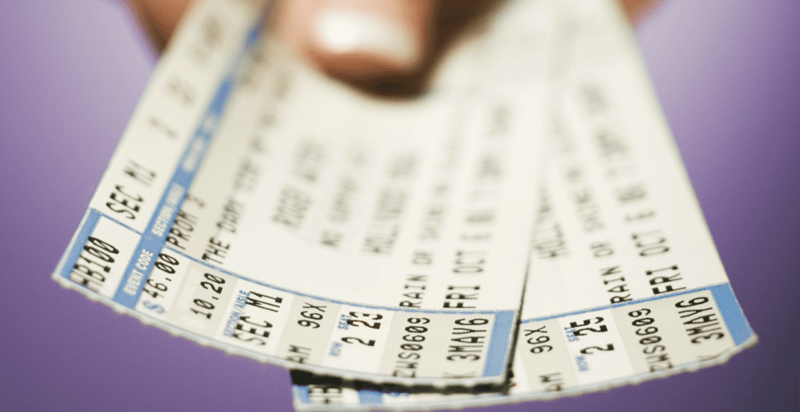 Live Nation and Ticketmaster are no strangers to litigation over their practices in the ticketing ecosystem. One such lawsuit, Schlesinger v. Ticketmaster, was filed in 2003 over what it claimed was inadequate disclosures over processing fees and UPS shipping fees and settled a decade later. Consumers who purchased tickets between October 21, 1999 and February 27, 2013, have since been entitled to vouchers good for free or reduced-price seats to events at Live Nation venues and UPS shipping for purchases from the company. More recently, Canada’s Competition Bureau filed suit against the companies for what it calls “drip pricing” – the practice of disclosing fees deep in the transaction process that greatly inflate the price after a consumer has effectively committed to a purchase. A class-action suit followed that closely. The company has also seen calls by New Jersey Rep. Bill Pascrell, Jr. for a “crackdown” due to what he calls monopolistic practices, which came in the wake of a New York Times report earlier this year outlining allegations of anti-competitive practices by Live Nation that would violate a consent decree it entered as a condition of the approval of its merger with Ticketmaster a decade ago. We will update this story with additional information as it becomes available.